The bicycle is a wonderful invention. At a modest cost and with minimal upkeep, it offers the perfect form of transportation. Certainly, there is no better way to study a landscape than meandering at your own pace, vision unimpeded by the glare of a windscreen, free to roll along where ever your heart and impulses carry you. 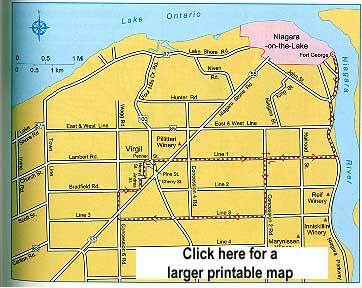 This section presents 3 bike tours, as well as an introduction, to the Niagara Parks Recreation Trail. 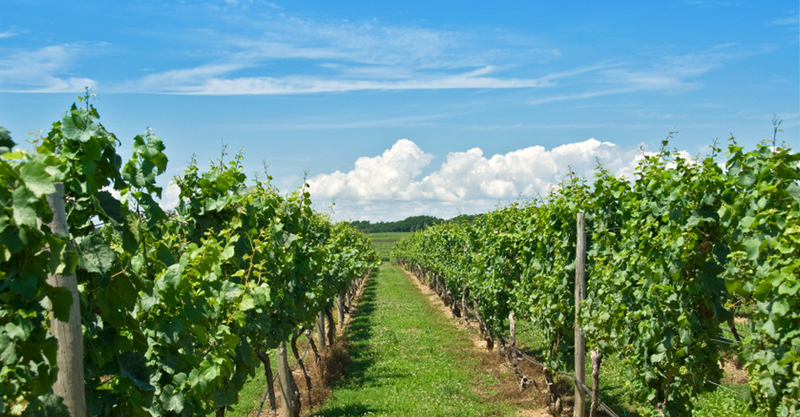 These tours wend their way along country roads and give insight into different parts of Niagara. If you would like more information on these or other bike tours, contact the Niagara Freewheelers Bicycle Touring Club who contributed most of these tours and hold weekly rides. All tours are circle routes so you can pick any convenient place to start and finish, instead of the starting places that are suggested. 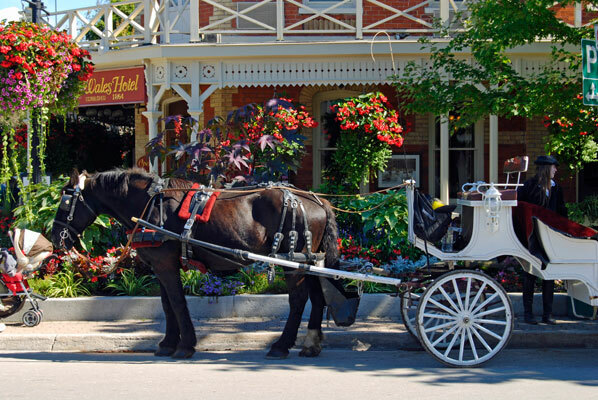 This pleasant, flat ride of about 23 kilometres ( 14 miles )takes you along the Niagara Parkway and into the rich fruit lands of Niagara-on-the-lake. The suggested starting place is the parking lot of Fort George. This tour can be modified to take in one or more of four wineries that lie within easy reach. The closest is Pilliterri Winery, which lies just to the northeast of Virgil. Reif, Inniskillin, and Marynissen wineries lie slightly to the south of the tour. 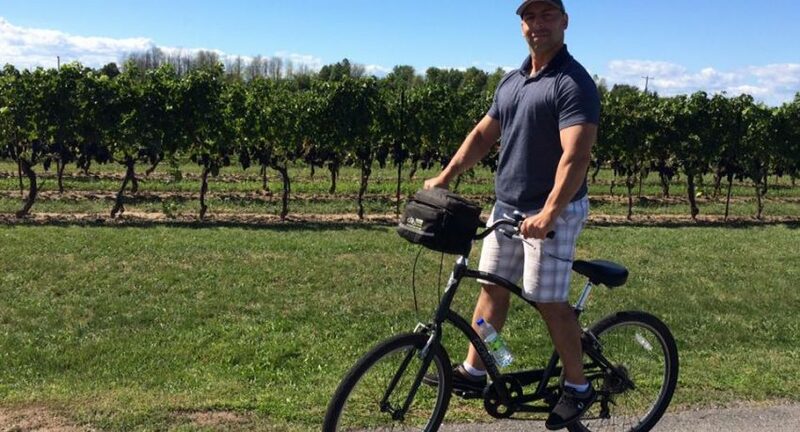 This tour, contributed by Fran Bauer, mother of the legendary Canadian cyclist Steve Bauer, is on of the prettiest in the Niagara area – but you have to work as there are many hills. We suggest you start this 33-kilometre ( 20 mile ) ride at Rockway Community Centre on Pelham Road ( Regional Road 69 ) west of St. Catharines and follow Map 23 in a counter-clockwise direction. Go west along Pelham Road for a short distance and then turn left onto Wessel Drove. The route is easy to follow. At about the 8 kilometre ( 5 mile ) mark, just past the right turn onto Metler Road, a sign will announce the Comfort Maple. This very short detour is well worth the time, as the Comfort Maple, at about 500 years, is the oldest sugar Maple tree in Canada. And quite a sight it is too, with its gnarled trunk and branches supported by guy wires reaching as high as a ten-storey building (34 metres or 112 feet.) Old Glory, as it is called by the Comfort family who farm the surrounding land, towers majestically over neighbouring orchards. Another jewel along this tour is Edward’s, a large gracious century home at about kilometre 15 ( mile 9.3 ) on the right side at 398 Canboro Road. This red brick house with ornate trim and its accompanying old barn is a reminder of prosperous country living in bygone days. A good place to stop for a rest is at about the two-thirds mark at the intersection of Haist Street and Highway 20. The Loft Restaurant and Ice Cream Parlour is on the north side of Highway 20 just a little west of the corner. This is a favourite place for the Freewheelers to stop and partake of sustenance before tackling the winding, rolling lanes of Short Hills that lead back to the Rockway Community Centre. 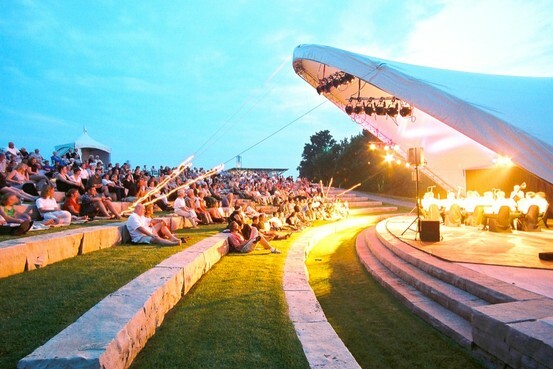 Although relatively long at 73 kilometres ( 45 miles ), this is a rewarding tour as it offers a thorough overview of Niagara including the Niagara Parkway, farmlands above and below the escarpment, as well as a section along the Welland Canal. On August 24, 1974, the downbound ship Steelton, crashed into the vertical-lift bridge at Port Robinson before it was fully raised. The village, which straddles the canal, was effectively cut in half. Rather than building a new bridge, a passenger ferry was installed that has operated ever since. The Town of Thorold is responsible for managing the ferry. The highlight of this tour is a (free) crossing of the Welland Canal on Niagara’s only ferry. The suggested starting point is at Queenston Heights Park, where there is ample parking. Follow the tour in a clockwise directions as shown on the map. 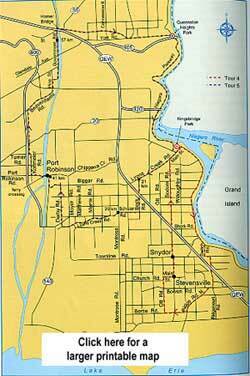 Proceed along the Niagara Recreational Trail until Chippewa. Cross the bridge and turn onto Main Street, which becomes Lyons Creek Road. Note that at about 21 kilometres ( 13 miles ), the left turn onto Beck Road is easy to miss, as is the left turn (actually a fork) onto Lyons Creek Road at about kilometre 29 (mile 18). Ignore the No Exit sign at the corner of Morris Road and Lyons Creek Road and proceed; you can carry you bike across the railway tracks. At the next intersection (Matthews Road) is a historical marker commemorating the Battle of Cook’s Mills, which took place here in 1814. When you reach the Welland Canal along Biggar Road, take a moment to see how the Welland River is diverted under the Welland Canal by the use of siphons, so that their waters do not mix. When you reach Port Robinson, turn left on Bridge Street for the ferry. If you are with a large group note that the ferry only has a capacity of six people. (it does not take cars and does not operate during the mid-winter months i.e. when the Canal is frozen). The Knockerheads Tavern at kilometre 41 (mile 25.4) is a good place for a rest while you await the ferry. -jog right, then left onto Government Road which is beside the Canal and follow it north. The Lock 3 Museum Complex at kilometre 57 (mile 35.3) is an excellent place for a rest, nourishment, and to watch giant ships move through the lock. The steel deck on the Homer Bridge crossing at kilometre 58 ( mile 36 ) is treacherous. We strongly recommend that you walk your bike across. An alternate, and pleasant, ending to this route is to proceed along Queenston Road until Concession 6 at which point you turn right, followed by a left on York Road. Soon you will see the magnificent edifice of Chateau des Charmes winery with its beckoning tasting rooms. At kilometre 71 ( mile 44 ) take the bike pathway, which is about 300 metres before the intersection of York Road and the Niagara Parkway, for the final climb up the escarpment. We hope your tired legs make it. 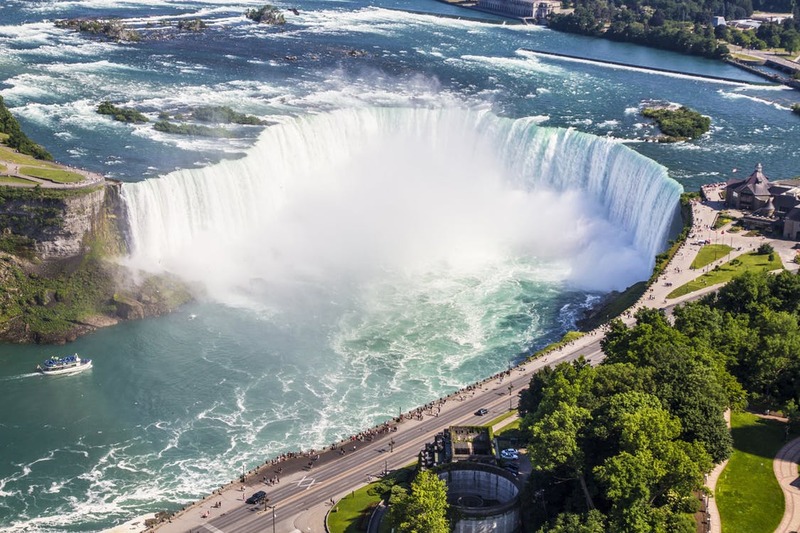 Niagara Falls Tours Places to Hike in Niagara That Will Blow Your Mind Niagara Wine Tours THINGS TO DO WHEN VISITING NIAGARA Why Visit Niagara-on-the-Lake Everyone loves Niagara-on-the-Lake, Ontario!